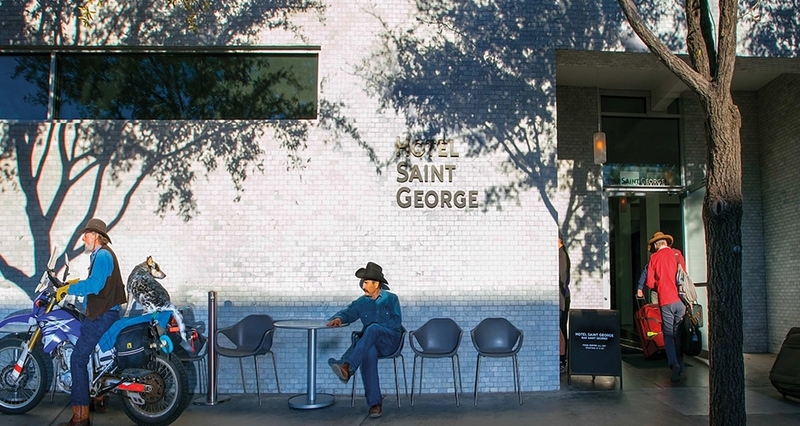 With two bars, a restaurant, and a bookstore, the Hotel Saint George has become a cultural and community hub of Marfa. He likes to sit and drink and think.” That’s what one of Donald Judd’s interns told me about the New York artist, pioneer, and patron saint of Marfa’s contemporary art scene. We were standing by the bonfire, bagpipe song rolling over the Chihuahuan Desert. It was late winter in ’93, the year before Judd passed away, and I was a guest at one of the bonfires Judd regularly hosted at his Marfa art compound, The Chinati Foundation. He’d flown bagpipers in from Scotland; the burly, jolly Scotsmen in full kilt made a surreal contrast against the wide skies and pale grasses of this West Texas landscape. Even more surreal for me is the memory of Judd telling me why he likes bagpipes: They are, he said, the music that least reminds him of human voices. 105 S. Highland Ave., Marfa. 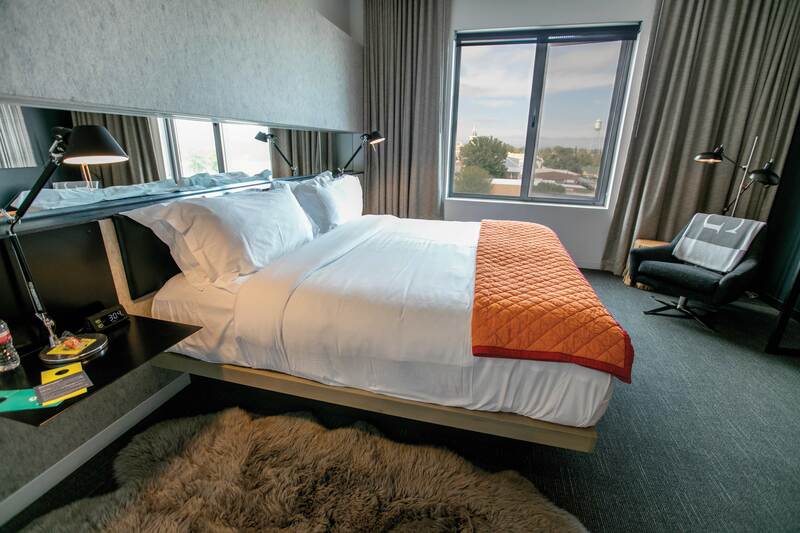 Now, 25 years later, I am doing my own sitting, drinking, and thinking in my room at the Hotel Saint George, the clean-lined contemporary hotel that’s become a Marfa cultural hub since owner Tim Crowley opened it in 2016. Through my third-story window, I gaze down upon the familiar red light at the intersection of San Antonio Street and Highland Avenue, the blinking heart of this unusual art-driven town. Judd, who was born in 1928, rose to fame as a groundbreaking sculptor in the ’60s; in the next decade, he began to buy numerous buildings and thousands of acres of land in the Marfa area. He wanted space, remove from New York, and to see his art in a permanent, place-based installation. People who knew him say Judd’s thinking often took place from a chair perfectly positioned in front of a window at one of his many ranches—glass in hand, a view of the desert. Today, my version is of the early-morning kind: the sunrise streaking pink over the desert mountains, a cup of the Hotel Saint George’s Illy coffee to wake me, my streamlined but cushy hotel room smelling sweet with the aromas of high-end bath products. And in my lap is one of my favorite human voices. I’m about to reread a poem called “Peanut Butter” by Eileen Myles, the acclaimed writer who lives part-time in Marfa and whose poetry collection, I Must Be Living Twice: New and Selected Poems, I had bought the night before in the Saint George lobby at the Marfa Book Company. Wondrous is a hotel where you can sneak up to your room after dinner in the downstairs restaurant with a new book of poetry tucked under your arm, one which you were actually allowed to charge to your room. 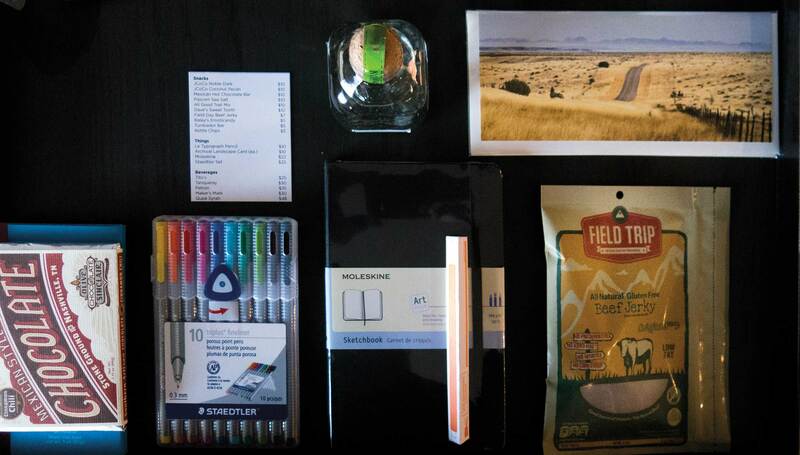 Myles writes, “All the things I embrace as new, are in fact old things, rereleased …” Poetry—good poetry, that is—brings out the best in human voices and can connect things that seem unrelated, like bagpipes in the desert. Long before he opened the Saint George on the site of the original namesake hotel, built in 1886, Crowley had been stoking the fires of creativity in the post-Judd Marfa community. A Marfa resident since 1997, he launched the Marfa Book Company two years later, and it quickly became an unofficial clubhouse for locals—artists and ranchers alike. In the years since, the bookstore has steadily hosted music, lectures, and art exhibitions, and, back when it had a café, you could hang out for hours reading or studying art—common pastimes in this little town of less than 2,000 people. 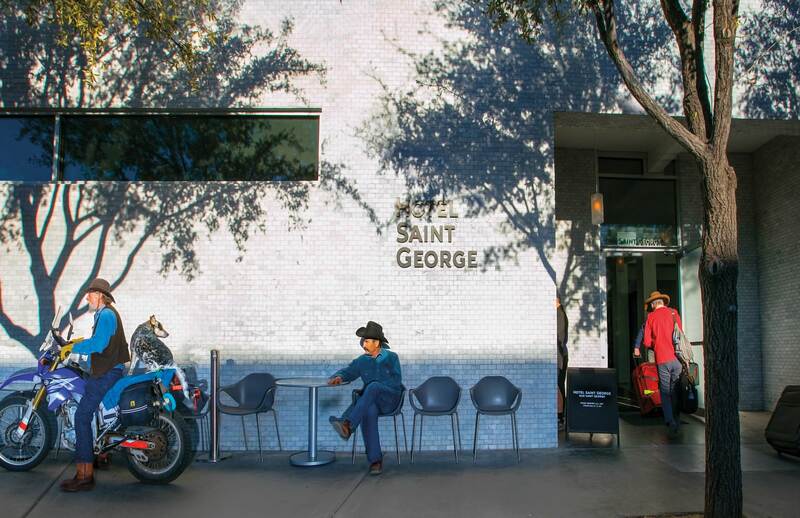 The bookstore’s square footage shrank when it was folded into the Hotel Saint George in 2016 and lost its coffee bar, but it’s maintained its status as creative wellspring in Marfa. Crowley’s contributions to the town extend far beyond the hotel. In addition to the Saint George, he is a director of the 168-seat Crowley Theater for performances and lectures. He also owns the Saint George Hall, for concerts and bigger events, and Bar Nadar Pool and Grill, quite literally the coolest hangout spot of all, particularly in the summer. And the hotel’s buzzy Bar Saint George and restaurant, La Venture, are steady sources of good food and drink in a town where restaurant hours are irregular; some days, sidling up to the bar for a Caesar salad here feels like a holy miracle. All of Crowley’s projects bring Marfa a vivifying shot of possibility. Much like Judd’s bagpipe bonfires, you never know when you might luck into a little magic, be it a poetry reading by the likes of Myles or a surprise concert by Texas music legend Terry Allen, or even a weekend festival dedicated entirely to celebrating the agave plant (the Agave Festival held annually in June). Crowley is also known for approaching such endeavors with an open-access attitude: He and his collaborators keep many events free, and the hotel pool is open to local families on Tuesdays. Wondrous is a hotel where you can have dinner in the downstairs restaurant and charge a new book of poetry to your room. Room amenities for hungry or inspired guests at the Hotel Saint George. 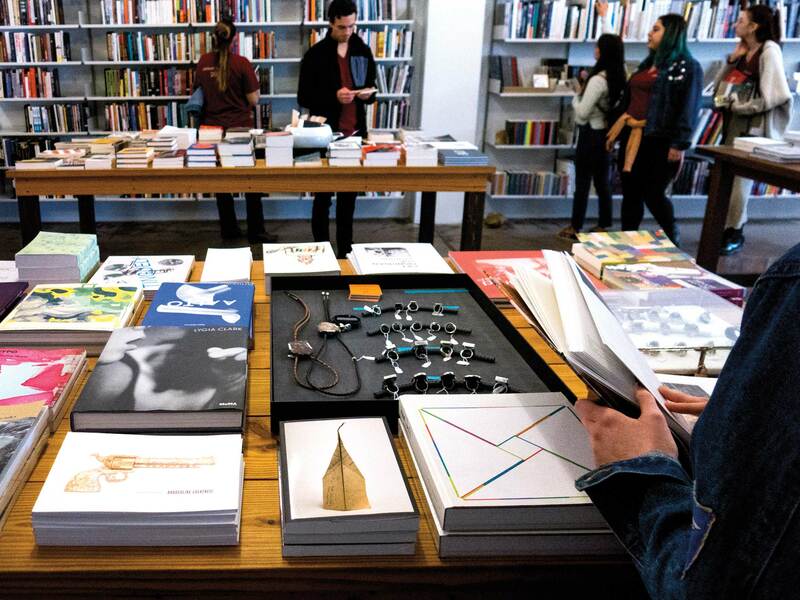 In 2008, Marfa poet Tim Johnson and scholar Caitlin Murray bought the Marfa Book Company from Crowley. Between the store and the hotel, there are many corners in which to get lost in a book—or just sit and drink and think. But during the summer, nothing is quite so appealing as the coveted lounge chairs surrounding the hotel’s sparkling Bar Nadar, a modernist watering hole where parched souls cluster on the pool edge and sip prickly pear margaritas or dig into gourmet street tacos. On the weekends and some weeknights, live music and merrymakers can elevate the energy to a full-on party. 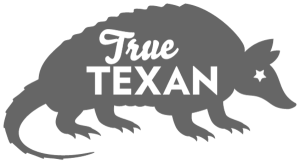 A bumper sticker for sale in the Marfa Book Company reads, in big block letters, “WWDJD?” The impossibility of answering that question—what would Donald Judd do?—is what makes it amusing, but it also shows off the enduring, mythic stature of Judd in this town he transformed decades ago into an unlikely epicenter of contemporary art. And now, almost 25 years after his death, the ripples of his vision have carried on in the most unexpected of ways, which I’m reminded of as I slide my new Eileen Myles poetry book into my suitcase.